The faculty and students of Asian Business School, Noida have presented their research papers in numerous International conferences. 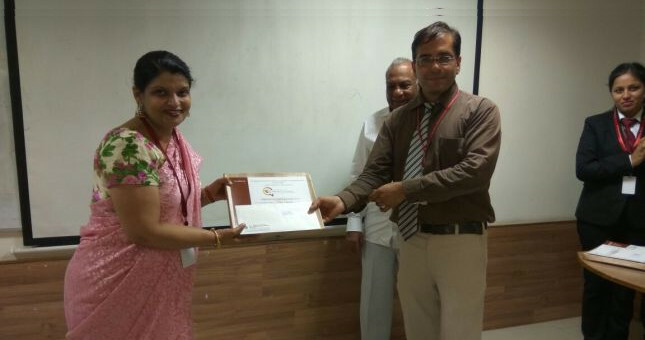 In that series, Dr. Tanu Kashyap, Assistant Professor, Asian Business School, presented her Research paper titled “Employ ability and Skill Development’’ in International Conference on “Innovations in Technology: A Roadmap for Achieving Global Competitiveness (ICIT-2K16)” at GL Bajaj, Greater Noida. She not only presented her paper but also was Technical Session Co- Chair in the International conference and judged paper presentations from the International Delegates hailing from Sri Lanka, South Africa, Tanzania, Kenya, Gambia and Republic of Congo. This is an honour that GL Bajaj Institute of Management and Research conferred upon the faculty of Asian Business School.